Horse Safety Australia has been looking into endorsing more products that relate to safety in horse activities. Below are a number which we have investigated and endorsed as recommended for use and useful for the horse industry,. Hopefully we will have more products to follow. Please note that a small amount of financial support to HSA, to be used to promote safety in the industry, is provided from the organisations involved, when these products are purchased as a result of our endorsement. Please ensure that any of these products are used according to the manufacturer’s recommendations. 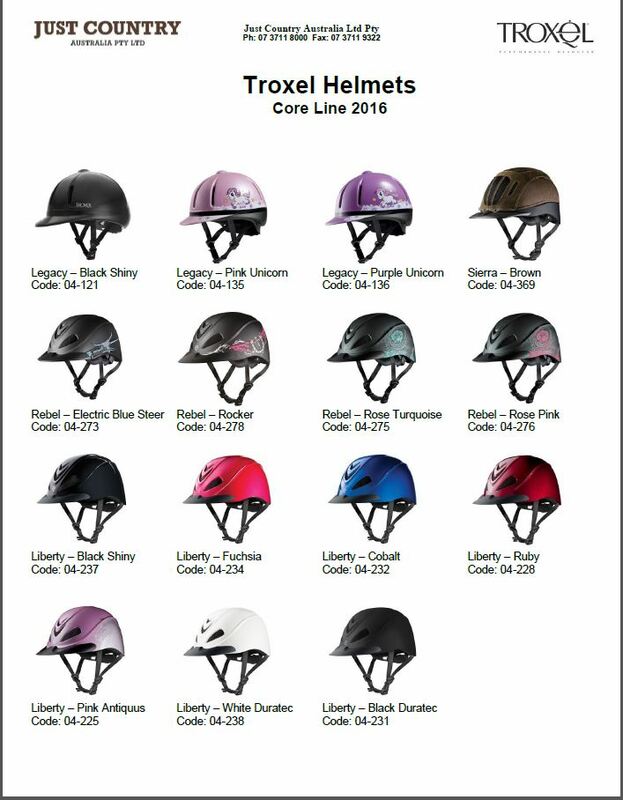 for more on helmet standards go to our menu item ‘ standards’. 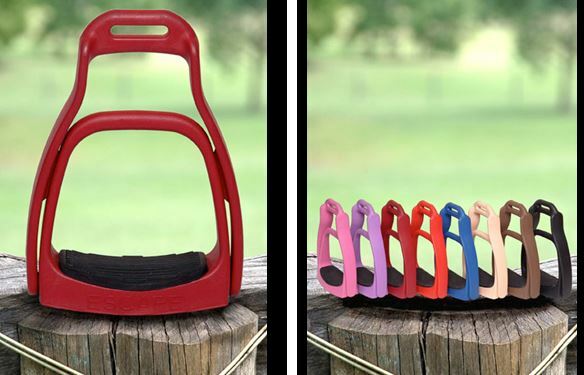 These stirrups come apart with the weight of the rider displaced in the event of a fall, so there are no more risks of being dragged! 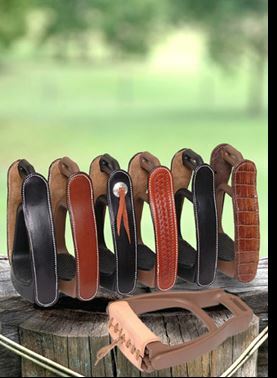 They come in plastic in many bright colours, as well as stainless steel for showing (unfortunately not currently available) , and leather covered Ox Bow type stirrups for Western riding. 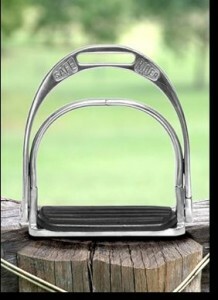 NOTE: As with any piece of equipment these stirrups need to be handled correctly. If a stirrup has come apart (during cleaning or due to the mechanism working in a fall, or just when someone is looking at how they work) please make certain they are reassembled correctly, by placing the two parts at right angles to each other, pushing the two parts together from this position, then pushing the lever up to a normal closed, ready to use stirrup. If this action is not properly carried out ( reassembling them when the two parts are not in the right angled position to each other) there is a possibility that the release lever could jam and the breakaway process may not work. You can ensure that you are using the right process to reassemble them by checking that the level works once a stirrup is assembled. Check by applying a forward pressure to the lever. The stirrup should fall apart with (reasonable) pressure on the lever (pushing hard with both thumbs on the lever). If ‘jammed’ you need to apply enormous amounts of pressure to release it and the stirrup may not be good for future use due to burring over of the connection. A fantastic Australian product which is ideal for carrying on trail rides/ out mustering/ or in any situation where you are away from your first aid equipment at your base. 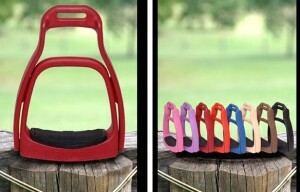 It has appropriate harness to attach it to your saddle. 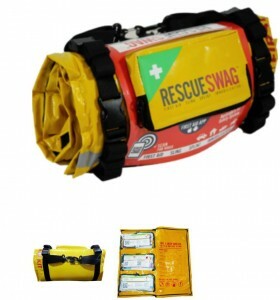 The Rescue Swag not only includes medical supplies, but links directly to instructions and photographs within the Rescue Swag app to guide you during emergencies. Each kit also has the ability to also be used as a sling, splint, immobilisation device and water carrier. Carry your mobile phone in the easy-access external pocket or upgrade your kit to include a Personal Locating Beacon, for the ultimate in safety. In fact it is relevant to horse use, and a good tool to have as part of your equipment kept at home too!\ Can be taken out on quad bikes, motor bikes and anywhere a first aid kit might be needed. An excellent product which has the added advantage of advice available on a smart phone without the need of a phone signal or the internet….Check this out!